Vice President and Dean Earl M. Tapley was especially instrumental in the transition from BTS to Lee College. On the 22nd, the dean of the University of Tennessee, Dr. Fred C. Smith, was keynote speaker for the graduation ceremonies. His auspicious presence affirmed the efforts of the BTS president, E. L. Simmons, and dean, Earl M. Tapley. A total of 51 graduated from the junior college and religious education programs, with another 58 earning high school diplomas. Robert Humbertson was honored as the outstanding graduate of the junior college. 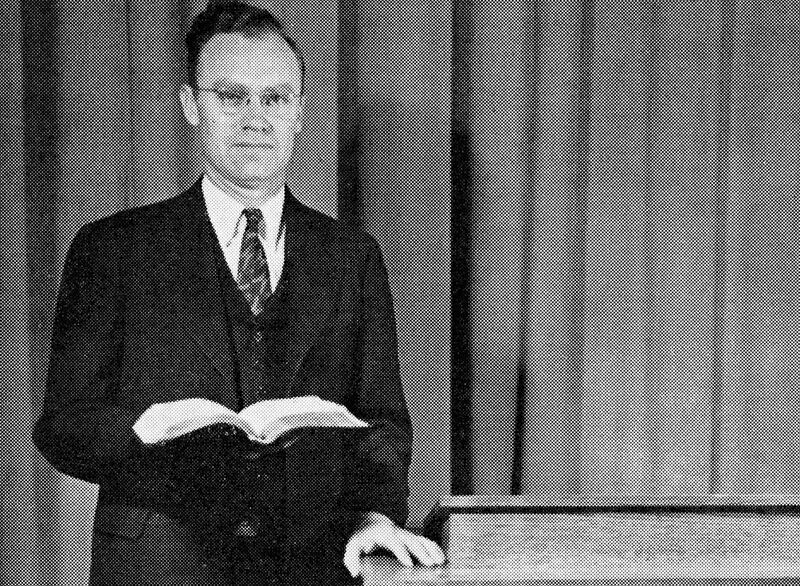 Beginning in 1918 with just 12 students and one teacher in a borrowed room, the Church of God Bible Training School had evolved over the three intervening decades, adding and adjusting programs, including a high school and a two-year junior college. This commitment to helping working-class teenagers finish high school and get a jumpstart on college placed BTS in rare educational company at a time when nearly half of Americans left high school to join the workforce. The school had relocated from Cleveland to Sevierville, Tennessee, for the decade of 1938-1947, growing to as many as 700 on-campus students, and adding “and College” to its name. As strange as it may seem, this institution never had a name. It seemed almost a shame, with all of its other acquirements, to go farther on such a march of progress and to keep traveling synonymously. Without a change of purpose or without deviating from its divine prerogative, the school was named Lee College. Denominational leaders also gave their approval. A former president of BTS raised a challenge and filed an appeal on behalf of “Church of God College,” but General Overseer John Jernigan denied the request. When Robert Humbertson would next come to the institution from which he graduated in May 1947, it would be as a faculty member at Lee College—by then moving toward a four-year liberal-arts institution that began its metamorphosis, in many ways, on the day he received his junior college diploma. Matthew Melton, Ph.D., is dean of the College of Arts and Sciences at Lee University.